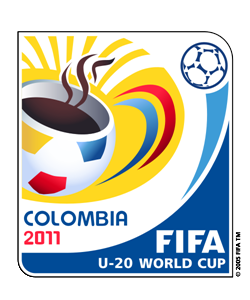 This article consists of the overall news of the under 20 FIFA World Cup which took place in Columbia this year, 2011. The tournament saw many excitements and in the end Brazil emerged as the champions for the record 5th time. One of the most awaited tournament in of the year in the world of soccer, this time the under 20 FIFA World Cup 2011 was hosted my Columbia. Starting off on 29th of July and ending on 20th August 2011, the tournament showcased many talents in the soccer galaxy from all over the world. Taking place this year, this year's tournament was the eighteenth edition of the under 20 FIFA World Cup. As decided on September 29th of 2010, the venues of the under 20 FIFA World Cup 2011 included the world class stadiums named, Estadio Nemesio Camacho located at Bogota with a capacity of 36,343, Estadio Pascual Guerrero located at Cali with a capacity of 33, 130 and Estadio Metropolitano Roberto Meléndez located at Barranquilla with a capacity of 44,569 among the main venues while Estadio Hernán Ramírez Villegas located at Pereiera, Estadio Hernán Ramírez Villegas located at Medellin, Estadio Jaime Morón León located at Cartegena, Estadio Palogrande located in Manizales served as the other major locations for the under 20 FIFA World Cup 2011. The qualifying round of the tournament was held continent wise in 2010 and in 2011. The under 20 FIFA World Cup 2011 teams were divided into four pots or groups. Pot A contained the teams Argentina, Brazil, Columbia, Nigeria, Portugal and Spain. Pot B contained Cameron, Costa Rica, Egypt, Guatemala, Mali and Mexico. Pot C contained Australia, New Zealand, North Korea, Panama, Saudi Arabia and South Korea which the Pot D contained Austria, Croatia, Ecuador, England, France and Uruguay. These teams were further divided equally into six groups containing four teams each. This year's under 20 FIFA World Cup 2011 format was that each of the top two teams got the privilege of getting a direct ticket to the Round of 16. While among the third placed teams from each group, the best four of the six third placed teams got to compete in the round of 16 which followed the traditional knock-out system. The later rounds included following the round of 16 were the quarterfinals, the semi finals and the finals. In the round of 16 of under 20 FIFA World Cup 2011 among the teams, Brazil won against Saudi Arabia with a 3-0 while Spain beat South Korea 7-6 in penalties following a 0-0 draw, Mexico beat Cameron in a 3-0 penalty shootout after 1-1 draw, Columbia beat Costa Rica 3-2, France beat Ecuador 1-0, Nigeria beat England 1-0, Portugal beat Guatemala 1-0 and Argentina beat Egypt 2-1. In the quarter final of under 20 FIFA World Cup 2011, Brazil beat Spain 4-2 in a penalty shootout following a 2-2 draw, Mexico beat coumbia 3-1, France beat Costa Rica 3-2 after carrying it to extra time, Portugal beat Argentina 5-4 in a penalty shootout following a 0-0 draw. The under 20 FIFA World Cup 2011 semi finals, the first took place in Pereira, where Brazil prevailed over Mexico in a comfortable 2-0 win. While in the second semi final which took place in Medellin, Portugal defeated France 2-0. The match for the third place took place in Bogota where Mexico again beat France 3-1 to claim the Bronze. The final of the under 20 FIFA World Cup 2011 took place in Bogota in 20th August 2011 which showcased an intense struggle by both the teams which carried into an exciting extra time in which Brazil made its place as champions with a 3-2 win over Portugal. For Brazil Oscar claimed all the 3 goals while the 2 goals for Portugal came from Alex and Oliveira. The under 20 FIFA World Cup 2011 awards included the champions' trophy and gold medals for the members of the Brazil national team while the silver was distributed to the Portuguese side. The golden boot and the Golden ball was awarded to Henrique for scoring 5 goals for Brazil while the Golden glove was awarded to Mika for most number of saves. The under 20 FIFA World Cup 2011 fair play award was awarded to the Nigerian national team.